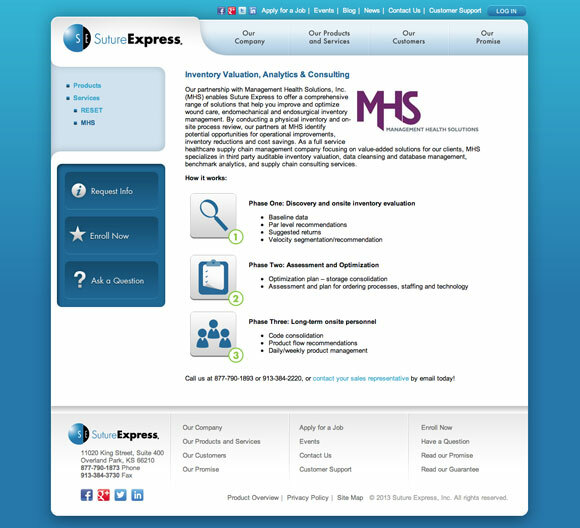 A Joomla site built for Suture Express by my team at Group 3 Solutions. 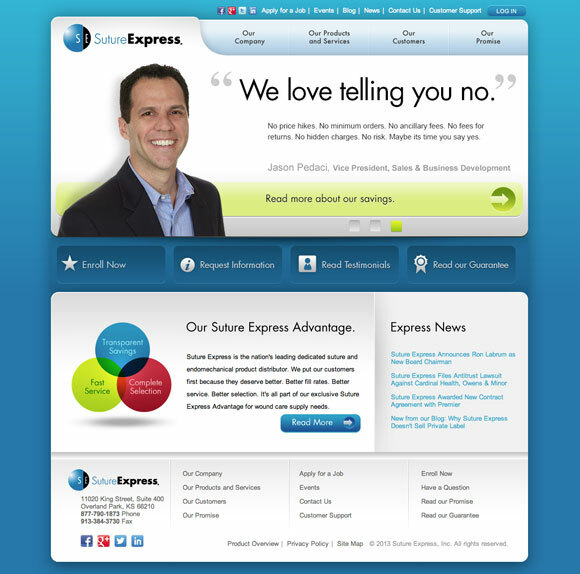 Leveraged BreezingForms, a custom slider, integrated WordPress blog, and more. Adapted from an original design by Wes Mikel. Update: This site was rebuilt with a different design in 2016.